We all know the best place to ride your ATV or side by side is on a remote trail or in an open field, but doing so also means coming in contact with nature’s finest elements. And when you’re traveling at high speeds, you’ll want to make sure your head, hands, and limbs are well protected. No matter the weather or outside temperatures, riding with the proper gear is important for having a safe, fun ride. Accidents are not planned, therefore it’s important to gear up just in case! CFMOTO strongly considers all our riders to use the following gear every time you ride. Part of the routine maintenance for your ATV or side by side is keeping track of its proper tire pressure. Having one or more tires that are under or over inflated can negatively affect the handling and safety of your machine. Riding on improperly inflated tires can also create abnormal wear and tear on your tires, causing premature tire damage. Follow these useful tips to ensure your tires keep your ride safe and last for years to come. CFMOTO USA has reached an agreement with the Minnesota Timberwolves of the NBA to become an official partner of the team for the next two seasons. 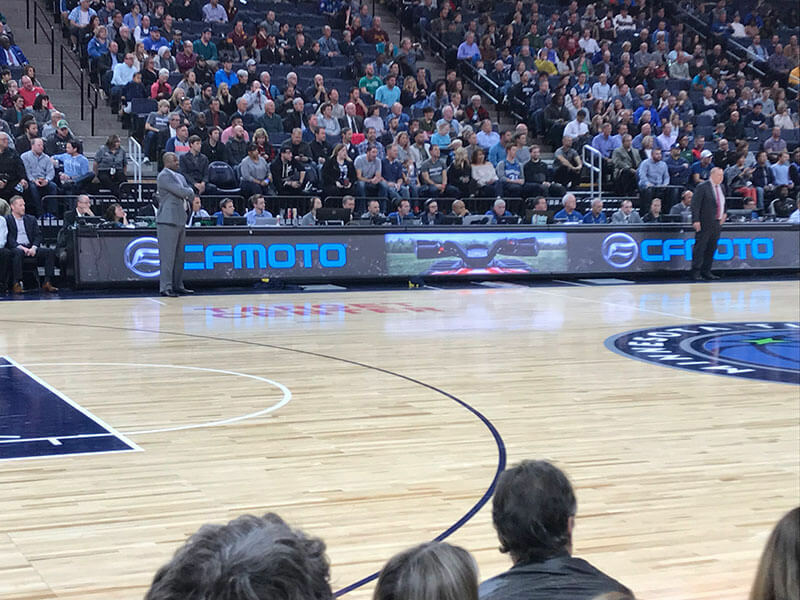 The first ever sports franchise sponsorship for CFMOTO USA includes in-arena branding, TV branding, in-game promotions and online sweepstake via the Timberwolves social media outlets along with CFMOTO’s social media channels. ATV or Side by Side: Which One is Best for You? Trail riding in the mountains, through the woods, or over rolling hills is one of the best parts about owning a power sports machine. But with all the options to choose from, where do you even begin? If you’re struggling to decide which option is best for you, you’ll need to better understand the capabilities of both machines, and what tasks they’re meant to fulfill. While both ATVs and Side by Sides provide copious amounts of exhilarating fun, both were created to perform be used differently.